Was bleibt am Ende? (What remains at the end?) 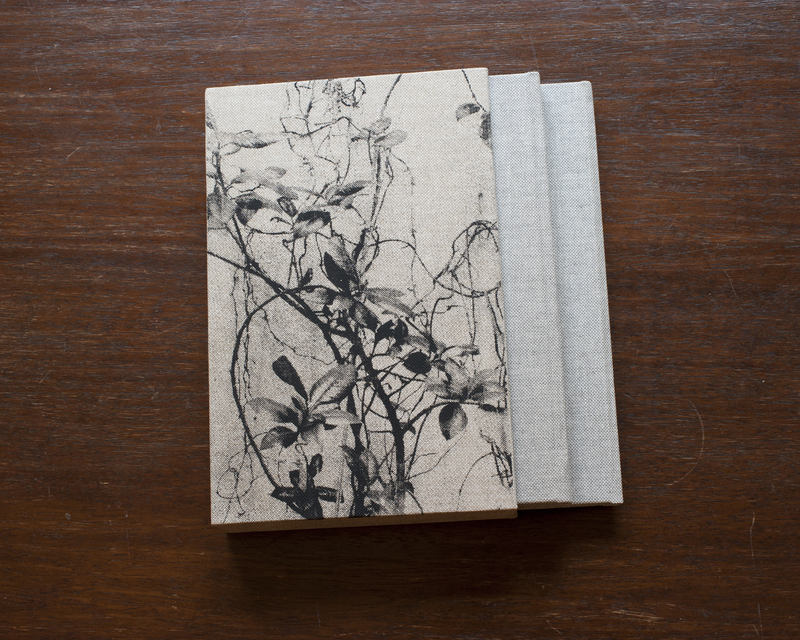 Limited to 30 copies, 2 books in a slipcase, 24 pasted photos, hand bound, slipcase with serigraphy. What remains at the end of a human life? I approached this question by portraying my widowed grandmothers. Their life situations in terms of being old are like mirrored. Marie (86) has senile dementia and lives alone in her house in a French village. Although she lives there since more than 60 years, her living situation fits decreasingly to her state of health. Marianne (92) decided to move to a senior residence in Wuppertal (Germany). Mentally and physically fit, she was tired of her loneliness. Although Marie lives surrounded by material souvenirs, she can barely remember her past. Marianne, on the other hand, lives in a sterile environment. Her only connection to her past life are the memories in her head. What would remain of their lives, if Marie would be placed in a stationary residential or Marianne would show signs of a dementia?